Universal three legs support stand for any monopod with 1/4" screw port at the bottom, you may take this mini Three-legged Support Stand to help your monopod standing alone as a tripod! 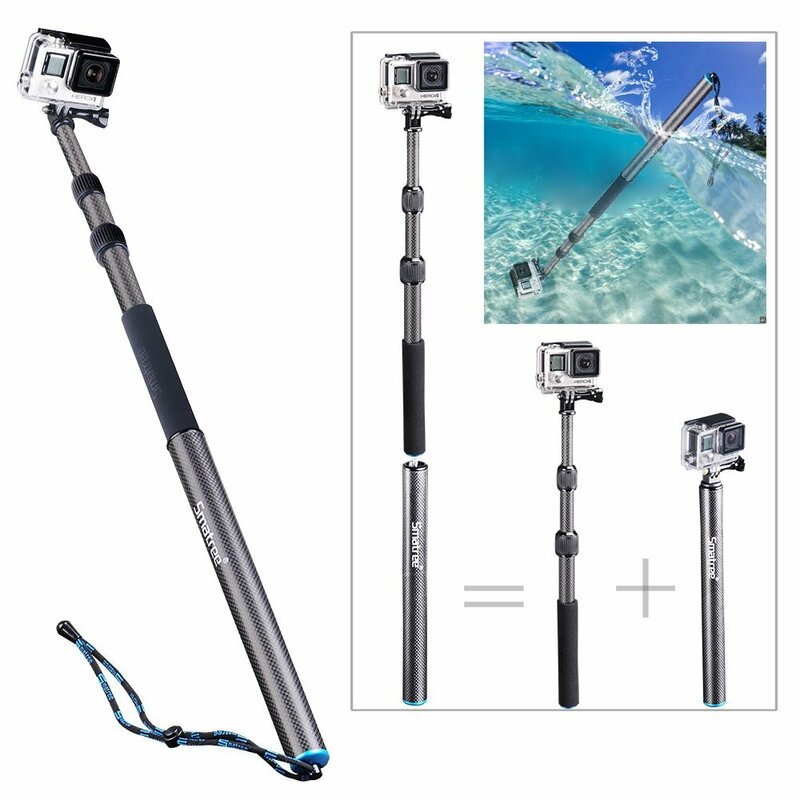 It is durable and sturdy, holds monopod on top securely. The foldable and compact design makes it more portable. 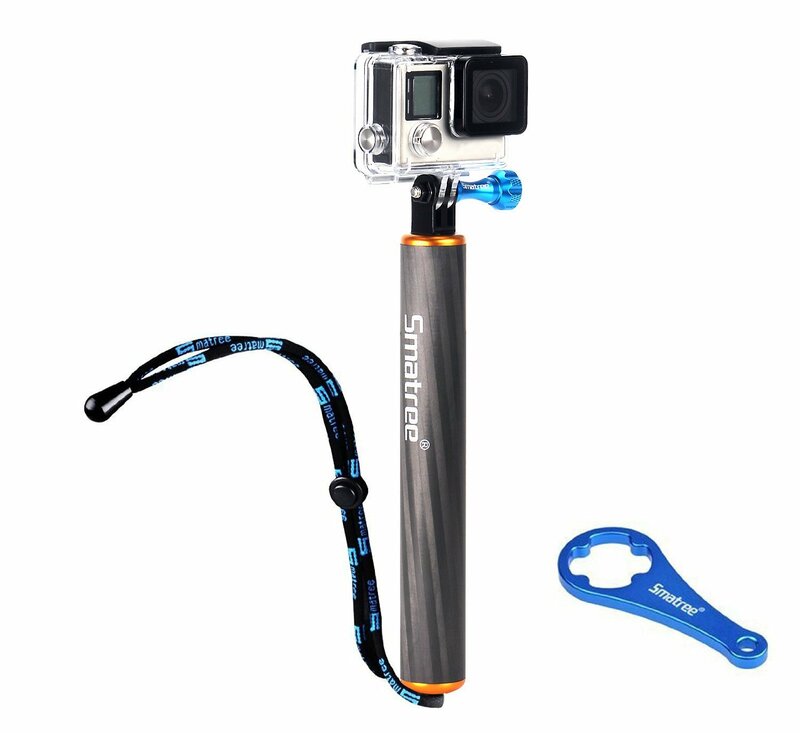 Bluetooth remote shutter(USB charging capability) can be held in your hand or installed on the selfie stick. It provides you with a quick and convenient shooting. Just turn on the bluetooth remote shutter, pair it with your smartphone, and then take a selfie! 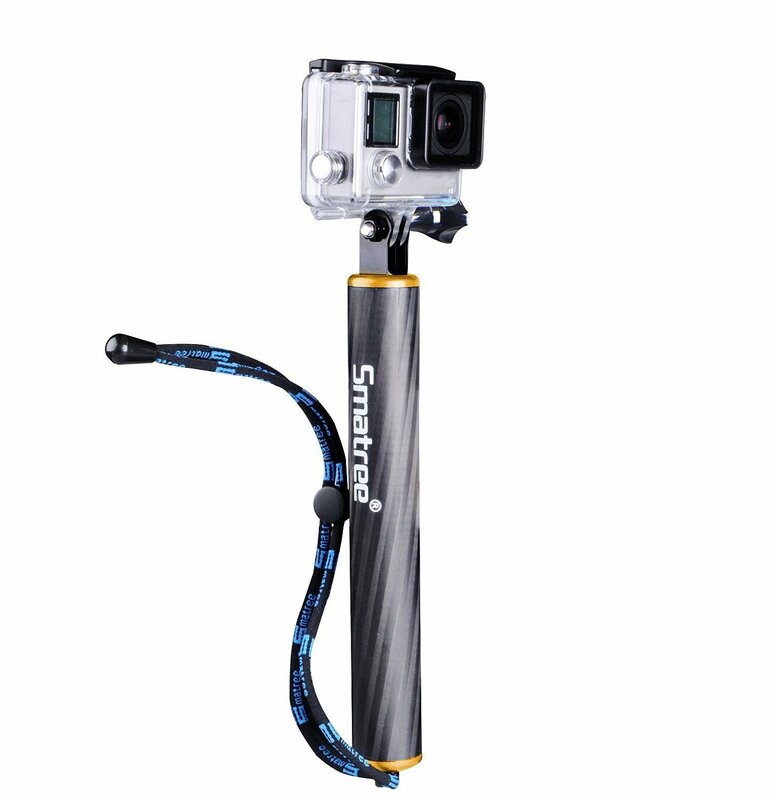 Bluetooth remote shutter(USB charging capability) can be held in your hand or installed on the selfie stick. 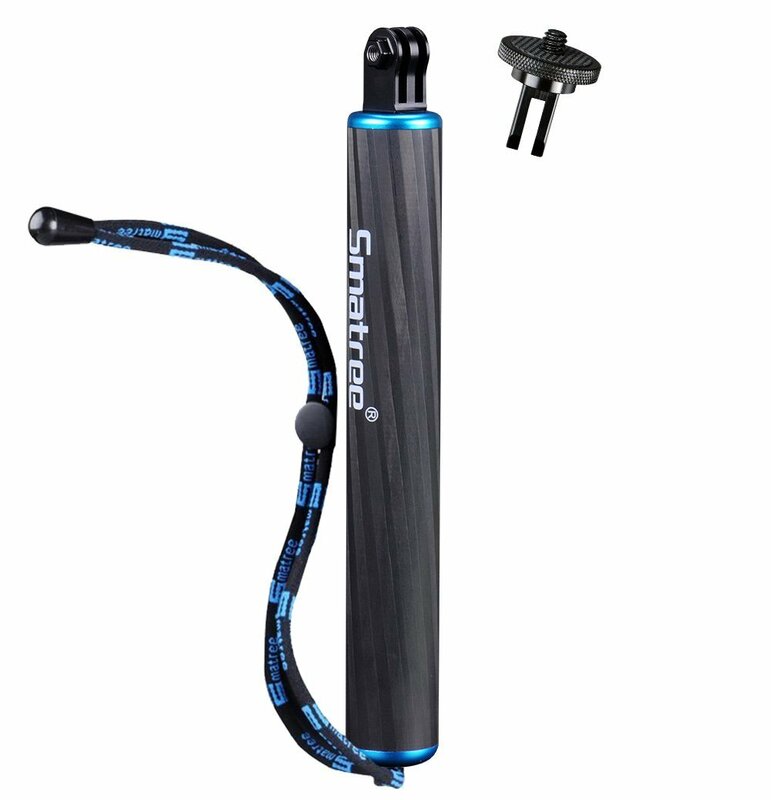 It provides you with a quick and convenient shooting. Just turn on the bluetooth remote shutter, pair it with your smartphone, and then take a selfie! --- Bluetooth Remote Shutter for Smartphones Only, not for Cameras. 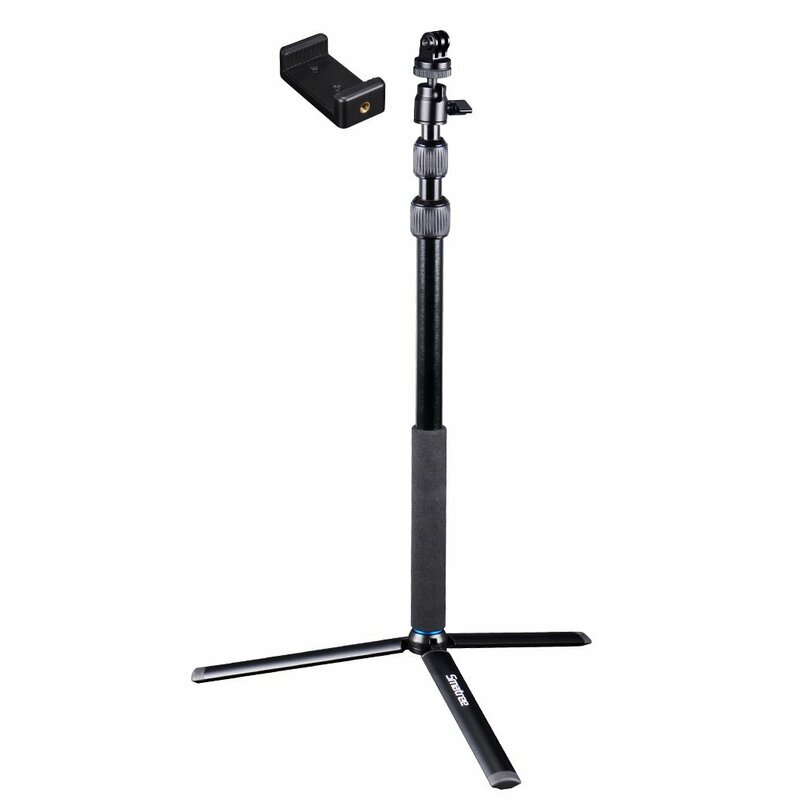 Sturdy 3-legged support stand for any monopod with 1/4" screw port at the bottom to stand alone as a tripod. It enables you to record photo and video for hours with minimum effort.